Ok, I love a bit of candy nostalgia and I was bummed out when I heard that the Wonka Bar was being discontinued. 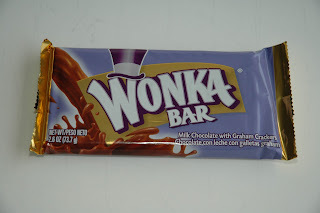 Not only did I like the milk chocolate with graham cracker bites, but I loved that the song “I’ve Got a Golden Ticket!” came to mind when I saw or ate them. Imagine my delight while in the Omaha airport, I saw this new line of Wonka Exceptionals. 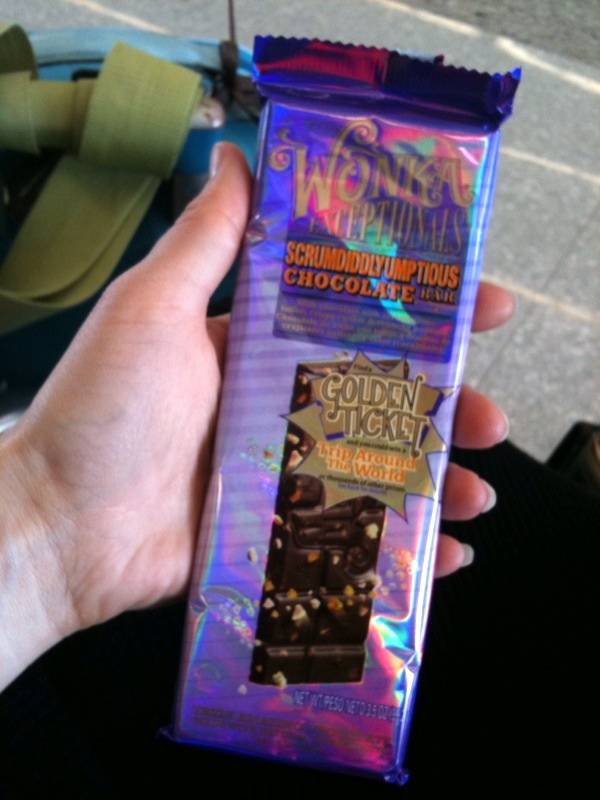 This one, the Scrumdiddlyumptious bar promised milk chocolate with bits of toffee, crunchy cookie and peanuts as well as a chance at…a golden ticket. So, I bought it. 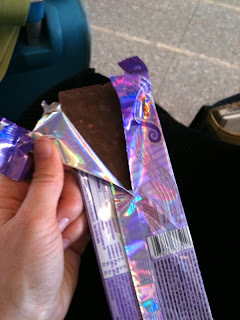 And it was yummy as my co-worker and I eagerly tore the rainbow iridescent package to discover that alas, we would not be going on a trip around the world with a golden ticket. 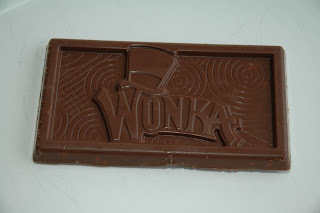 And like any good Charlie and the Chocolate Factory fan, I immediately burst into the “Cheer Up, Charlie” song. 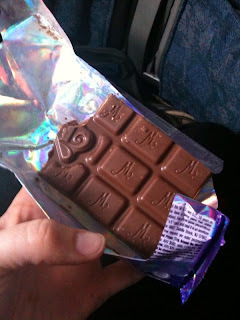 Oh, well, at least we had the chocolate bar. goodbye to your milk chocolatey-graham cracker yumminess.